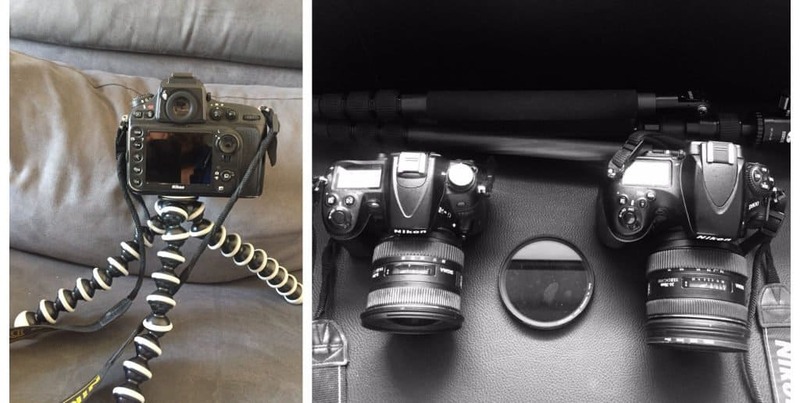 Photography and video are two different sides of the same coin, each with their own challenges as well as opportunities when it comes to earning money as stock. If you're already an experienced stock photographer, there's no reason why you shouldn't already be dipping your toes in video. In this post I'll be discussing 5 key reasons why you would be wise to be thinking about making the logical addition from stock photography to stock footage. In some occasions, you may even get away with shooting hand-held and being able to (hopefully) stabilise later in post-processing using Adobe Premiere, for instance. However, let's not get carried too away with the potentially large royalties since volumes are generally much lower than you would expect from stills. Taking a simple comparison, the number of images on Shutterstock today is at just over 260million, while clips are at a relatively few 14million. In other words, for every 5 images accepted, there should be 1 clip accepted. Investment in new software & learning curve: There will be a steep learning on using these programs and thankfully, there are numerous YouTube tutorials. Aperture, Adobe Premiere and Da Vinci Resolve are the recommended footage software. Still trying to understand what most of these dials do on Da Vinci Resolve! Videos just take longer to sell: Many contributors starting out can become frustrated at just how long it takes for videos to start selling compared to stills. I can imagine that this is a major reason on why many don't stay the course, which is also evident with stills. 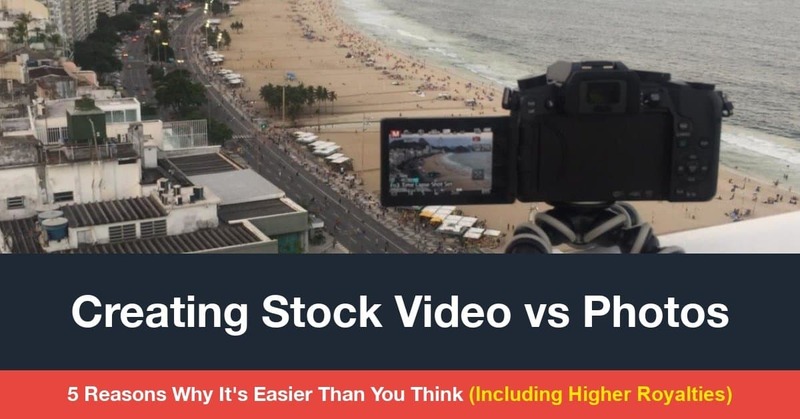 The good news is that since high-quality and trending videos are generally much less competitive than the same in stills, there are potentially significant gaps in the market for some niches (niches are beyond the scope of this article). In other words, if you're already successfully exploiting a niche within photography with success, you may have even greater financial success exploiting the same niche in videos. If you add model-released lifestyle type scenes and at 4K resolution, you may be able to ask for much more per sale. In addition, exploiting these gaps would make it potentially easier to achieve the top rankings of certain keywords, especially if you venture into more advanced types of footage, such as hyperlapse, timelapse and slow-motion. Below is a clip I captured a few weeks ago in Copacabana, Rio de Janeiro. 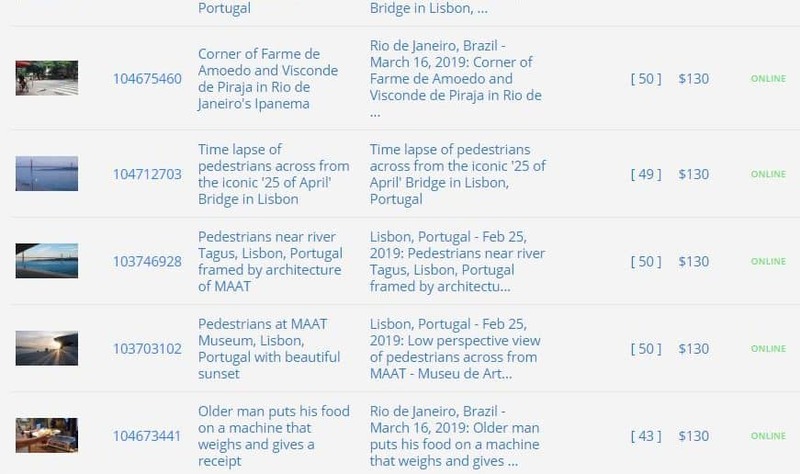 Shutterstock currently boasts 12,838 matches for “Copacabana, Rio de Janeiro” on stills versus just 192 matches for “Copacabana, Rio de Janeiro, timelapse”. If you filter even further for 4K, there's only 122 matches! If you look closely within the last link, two of my clips are on the very first row for this result! Day-time shutter speeds to capture footage need to be considerably lower than hand-held stills. For instance, if you're used to shooting at 1/200seconds, such speeds will make the clip looks robotic and strange. Aim to shoot at double the frames per second (fps) you select, known as the 180 degree rule. For example if you shoot at 25fps, then aim to shoot at maximum 1/50seconds to ensure a more natural smooth movement, which may mean using the proper gear, such as a slider, a gimbal, or a video tripod. Keep in mind that footage is all about movement. Some scenes with little to no movement are better off captured as stills. In fact, some agencies will go as far as reject clips with little movement. Adding movement, both while shooting and digitally, is a complex subject and beyond the scope of this post, although many tutorials are available on YouTube. Clips present much more flexibility when it comes to storytelling than photos. Clips should have a beginning, middle and end and each part should work together to create an interesting story. This is particularly relevant if you work with models and helps if you create a storyboard beforehand. Creating clips is time-consuming which means shooting for minutes at a time, which may be trimmed down to most interesting 10-20 seconds to be used. Within the above editorial clip, there's much more information available to tell the story than on the still, including the emotion from the tall woman with a cigarette. She notices the young man lying in the middle of the sidewalk, shakes her, gives a negative expression and walks away. Towards the end of the clip, another woman nearly literally steps on the homeless person while busy texting on her phone (gives away no expression). 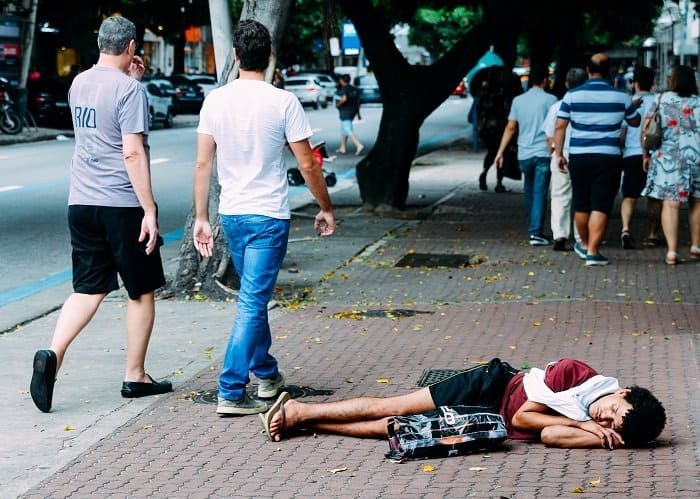 There's a general mood of apathy and helplessness that is more common in the developing world. The still, on the other hand, gives away a similar mood of indifference but since the pedestrians are turned away, they give away no expressions, which leaves much more room for subjective interpretation / fine art. Here's another example of storytelling when I captured the camaraderie between the bracelet “sellers” at Piazza del Duomo in Milan, Italy on a cold November day. I added a small digital zoom in to focus on the interaction between these two friends. As you've probably gathered by now, I really enjoy capturing timelapses and it's sort of become my niche within videos. Since timelapses are in fact combined still images, I take advantage to grab the best stills to upload as stock – see a tutorial on the Brutally Honest Microstock blog. Speaking practically, the best way to get started is simply to start shooting clips and learn from your mistakes, which are common with photographers making the transition. Trust me I've made tons and continue to make them! If you're already a photographer, in my opinion, you're halfway there, since it's a natural step since the basic rules of light and composition are the same. The rest of the technical skills, at a basic level, can be picked up in a few weeks. The 25x+ you'd earn in royalties, plus the challenge of learning a new skill-set, should be enough motivation. Please let me know how you get on and look forward to responding to your comments below. Alexandre Rotenberg is an eccentric guy on a quest to visit all corners of the world and capture stock images and increasingly footage. He's determined not to waste my life away as a corporate drone and he has devoted six years to 'making it' both as a travel photographer and photojournalist. He's based near Lisbon, Portugal and regularly travels around Europe and Brazil. In 2017, he published the Brutally Honest Guide to Microstock Photography which is available on his Brutally Honest Microstock Blog, as well as on Amazon Kindle (rated 4.6/5). Hi Alex, as usual, very informative. And if course it is a great help for beginners like me. Just bought my camera capable of 4K video. Nicely written, Alex. As always!